For those of you out there who spent their time downloading the highly anticipated iOS 4 yesterday, only to find no wallpaper or multi-tasking support for your 3G device fear not! Below is an easy solution to enable all the features of the new OS on your aging device. Please note: This solution will jailbreak your device, I take no responsibility if you you brick your device, so please complete with caution. Step 1) Download the iOS 4 update from iTunes and install it to your iPhone 3G/iPod Touch device. Step 3) Download redsn0w jailbreak app here. Step 4) Follow the instructions, tick “enable multi-tasking” and “enable wallpapers” and you are set once the app does it’s thing. This is a solution for mac users, sorry those of you on Windows machines, you’ll have to find your own way. Well I’ve had my iPhone 3G since launch day here in Australia and in those few months the app store has really picked up with some useful applications. Problem is with so many bogus apps out there it’s hard to know what’s worth the cash and what isn’t, so here I’ve listed some apps that are functional and worth checking out! First up is productive app called “Air Sharing” by Avatron Software. This app allows you to share documents of all kinds, word, excel, pages, PDF an many more from your PC, Mac or Linux machine to your iPhone. You can take your important docs with you and access them when you need them. Get in quick as Avatron are offering it as a Free Download for the first 2 weeks! 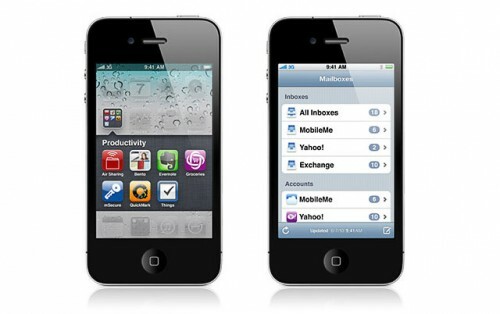 While Myspace isn’t the cool thing anymore enough people still use it to make the team create a first class iPhone app. In my opinion a nicer app than Facebook and it’s free! Tap Tap Revenge is my favourite iPhone game. Basically it’s like guitar hero for the iPhone, online leaderboards, downloadable tracks and a classy interface makes this a must have app, and it’s free! Palringo is hands down the best iPhone IM client out there, supporting nearly all providers, and sporting great interface and features this is a must have app for messengers on the go, and it’s free! And last but not least my favourite app Remote. This app allows you to control you iTunes on your computer by using your iPhone, eating dinner in one room and a song comes on that you simply cannot stand? Just change it using remote without even leaving the table! So my friends start downloading and if you know of any other good apps please let me know so I can check them out! 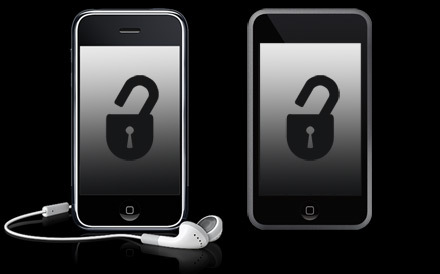 iPhone 3G- To Jailbreak or Not To Jailbreak? Well the iPhone 3G has been out worldwide for quite some time now, and many of you are surely by now wondering IF you should Jailbreak that monster or not. What I hope to do is help you make an INFORMED decision. For those of you who have heard about Jailbreak but don’t know what it mean, basically it unlocks the phone and allows you to install a bunch of Apps that Apple have not released or created. Now for those who had a 1st gen iPhone or an iPod Touch it was beneficial, but now with Apple opening the App Store for us all to enjoy, most would say the incentive just isn’t there. I tend to agree with these people. I Jailbroke my iPhone two weeks ago and I just restored it to the current 2.0.2 firmware today. While having the ability to have Quake and custom themes are appealing, there was not enough benefit for me to use the other apps that are available from a Jailbroken iPhone. I would suggest you do your research as to the type of software you are hoping to get, see if it’s available through Apple’s App Store, or the Jailbreak installer, and make a decision.